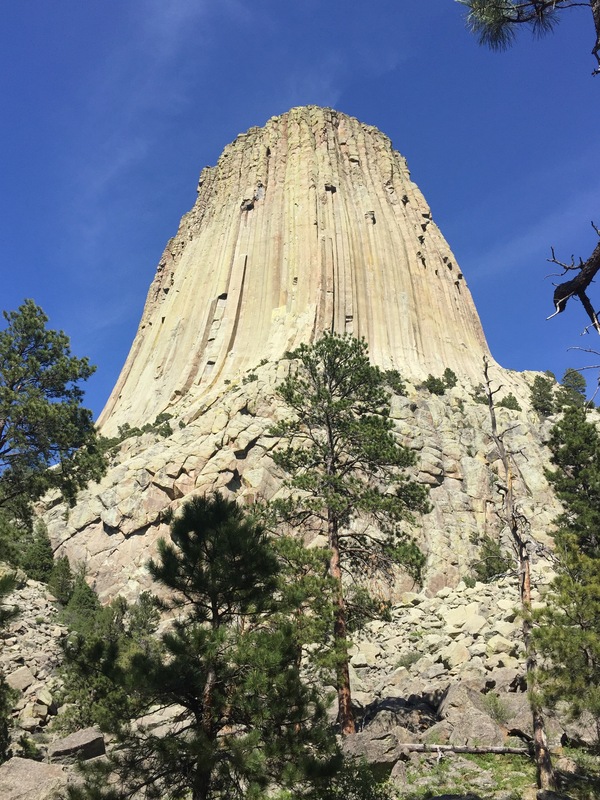 The Tower Trail is the 1.3 mile loop trail through ponderosa pine forest around Devil’s Tower. After being cooped up in the car for much of the day driving across Wyoming, I was very excited to hike this quick and easy trail. The trailhead is right at the visitors center. After a walk of a few hundred feet, you come to the rock scramble at the base of the tower. 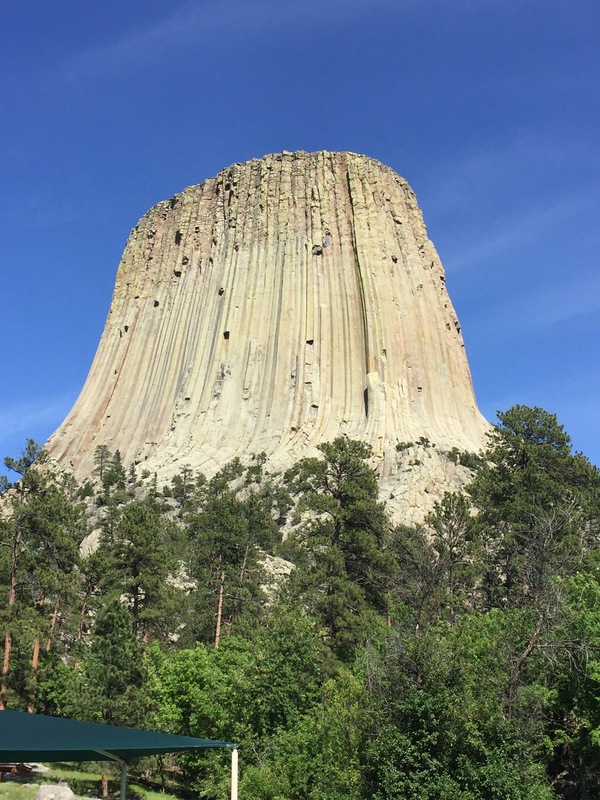 This is where everyone wants to take their pictures of Devil’s Tower. Apparently it is acceptable to climb through the rocks to the base of the tower. With a permit you can climb to the top as well. We took the right fork of the paved trail and started our journey around the tower. There are some minor elevation changes but nothing to worry about. The views of the tower from each side are slightly different so it was good to go around. 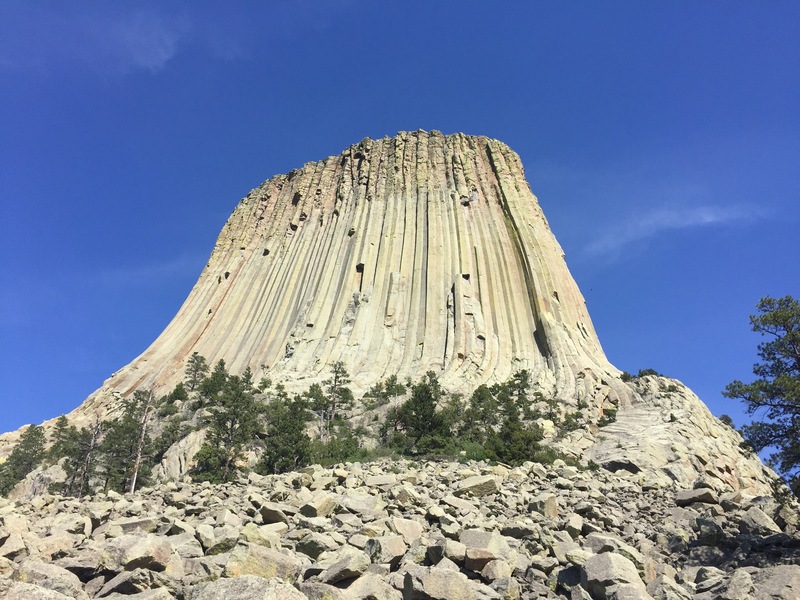 We saw climbers on the backside and that is what really made me appreciate the size of Devil’s Tower. 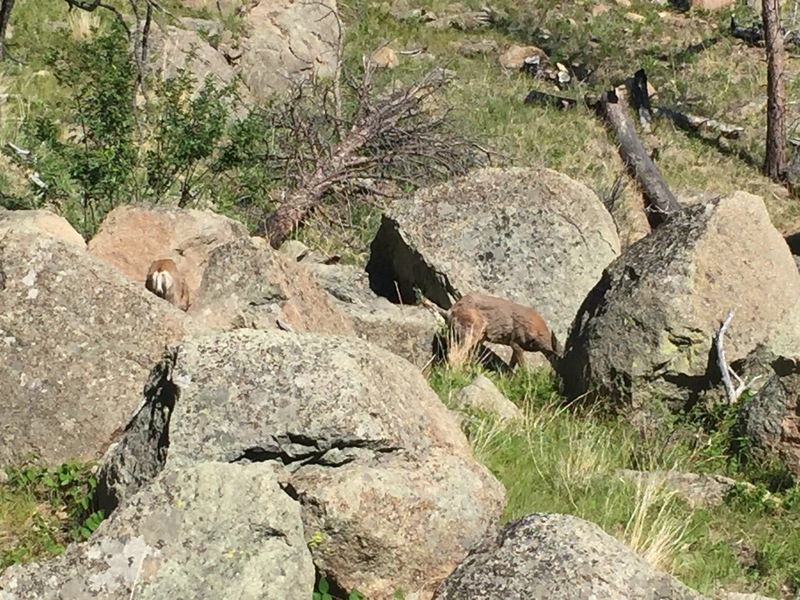 They looked like specs about 1/3 of the way up the 867 foot tall volcanic rock formation. 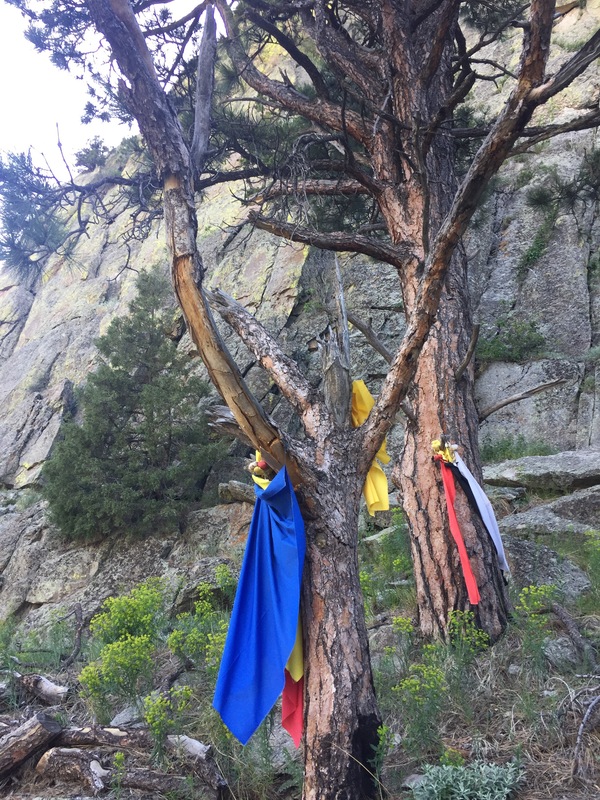 As we followed the trail around, we ran into a few deer along with passing several prayer cloth bundles left by native Americans. Previous Post Is Mount Rushmore Worth Visiting?